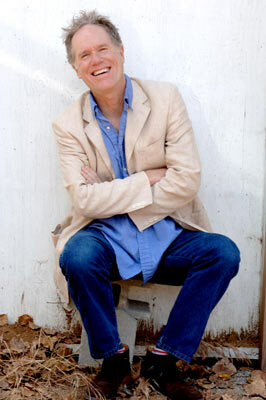 In his instantly recognizable grainy, high-pitched tenor, Loudon Wainwright III has been singing mostly personal and nearly always warped original songs for 40 years. Although he has often been categorized as a folk artist because of his instrumentation, Wainwright’s oeuvre is closer in spirit to Lou Reed than James Taylor. The satire and self-exposure that Wainwright’s music regularly flaunts have been inspirations for several new generations of songwriters, including the work of his now-famous son, Rufus Wainwright, and his daughters Martha Wainwright and Lucy Roche, all of whom have achieved some measure of popular success apart from any association with their famous dad. An actor as well as a singer/songwriter, Wainwright’s influence extends across several media to touch on television and film. He appeared in several episodes of the original television program MASH as a singing surgeon, and then reached primetime again 20 years later as a regular on Judd Apatow’s innovative sitcom Undeclared. Darkly comic and often self-lacerating in their honesty and vulnerability, Wainwright’s songs explore some of the same emotional territory glimpsed in the stories of his 1970s contemporaries Ann Beattie and Raymond Carver, all without leaving behind the conventions of the well-made popular song. In early compositions like “School Days” and “The Man Who Couldn’t Cry,” Wainwright took the expectations created by ballads, lullabies, and parables and turned them upside down, exposing the inconsistencies and anxieties that lay just under their surfaces. Wainwright’s early material has become newly relevant thanks to his most recent work, Recovery, on which he covers songs he wrote in the 1970s. Produced by Joe Henry, who also collaborated with Wainwright on music for the 2007 Apatow film Knocked Up, Recovery makes an amazing case for both the strength of Wainwright’s early songcraft and the power of his current band and producer. Together, they’ve created a sound for him that’s full of unexpected atmosphere, drama, and passion. I spoke with Wainwright from his home in the San Fernando Valley. How was it to re-listen to your oldest records? It was Joe Henry’s idea, and it was a very interesting experience. A few of the songs I had been singing for 40 years, but others I had forgotten. At first we were throwing titles back and forth, and then we started to get together with the group. From there it became obvious which ones we would keep. Is there a specific quality that sums up the experience? Each song is different, but overall it was about finding a new way to hear them that’s true now. You take a song like “Motel Blues” that I wrote more than 35 years ago, and it can’t possibly mean the same thing to hear those words coming from a guy who is 62. It’s like the singer might as well be someone different entirely. What about the sonic aspects of it? The arrangements are very different. My voice has changed a lot. All the time that’s passed, all the places I have been with it, you can hear those influences, but it has also just deepened in tone. I found listening to my younger voice a little difficult at times, so I suppose I am comfortable with how I sound today. You and Joe Henry have made a great team. How did you get together? Joe was a fan of my work when he was a kid, and he got in touch with me at a certain point just to let me know that. But then I heard his work, which is great, and the relationship grew from there. I met Judd [Apatow] in the same way, he was also someone who bought and listened to my records when he was younger, and then remembered me when it came to bringing music into his films. Joe has shown that he really cares about the songs and, as a musician, that’s the quality that you’re looking for in the people you work with. The same can be said of the band. I would take them everywhere if I could. You have reinvented yourself several times now, something not everybody can do. Was it difficult? You know, it’s odd to think of myself as some mad inventor, hidden away in a laboratory reinventing myself all the time, with explosions coming out of the place. That’s not really how it feels to me. But if self-reinvention is a good thing, well then, I’m for it. You often are asked about the songs you have written about your children. What is it like to be so identified with a confessional style? Do you feel writing and singing in the first-person can be a burden? I like the first-person, sure, but I write in the others as well. I have songs in the second-person singular and the third-person. Hell, I’ve even written some things in the second-person plural. So I’m not just some kind of first-person singular specialist. I get around. Loudon Wainwright III and Leo Kottke will be at UCSB’s Campbell Hall on Thursday, October 2, at 8 p.m. For tickets and information call 893-3535 or visit artsandlectures.ucsb.edu.